“Every plant here has an RFID tag and this is logged, seed to sale,” said Terrapin Station founder Chris Woods while giving RMPBS a tour of his legal cultivation facility in Aurora. Terrapin Station is a Boulder-based company that cultivates and dispenses marijuana and THC products for medical and recreational use. 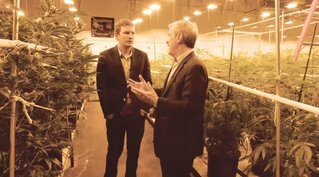 Terrapin’s grow operation, like other legal marijuana businesses, is tracked and regulated by the Colorado Department of Revenue and the State Marijuana Enforcement Division. Woods argues he believes every plant grown in the state should be under the same scrutiny, even the six or 12 plants every Colorado citizen older than 21 is allowed to grow in their home. Some law enforcement officials have argued normalization of cannabis without regulation of home cultivation has contributed to a healthy black market by giving individuals and criminal groups cover for illegal operations. That has prompted federal, state and local law enforcement to spend untold time and money in the past few years to attack huge illegal outdoor grows on public lands and in rural areas, and home grows in urban, suburban and rural neighborhoods in Colorado. Hundreds of houses have been raided, exposing networks of criminal organizations growing pot across the state. It’s all aimed at disrupting operations designed to ship large amounts of black market marijuana across the country to states where the drug is still illegal and a lot more expensive. 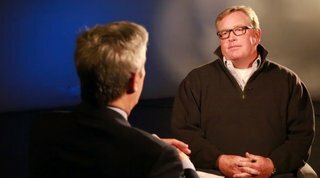 “What we're seeing right now is a lot of clean-up from the mistakes that have been made,” said Chris Woods. Now, he says, officials in other states considering legalization of cannabis are wary of allowing any home grows. Some will only allow consumers to buy marijuana and THC products from regulated businesses. Voters in Michigan recently legalized marijuana and the state currently allows adults to grow up to 12 plants at home. But the legislature there is set to consider a ban on home cultivation. Woods says he firmly believes national legalization of marijuana would eradicate the black market. “If there's no demand for marijuana from other states then, you know, there will not be the supply to meet it … as a function of business,” he said. Woods also said he would welcome national regulation of marijuana products from a public safety perspective. "We want there to be longitudinal studies in terms of how this can be consumed responsibly and effectively," he said. "What we want is education, responsible regulation, and to work as a partner with regulatory bodies such as the FDA." But Kevin Merrill, the former assistant special agent in charge of the Drug Enforcement Administration in Denver said he doesn't believe nationalization would get rid of the black market. “You would always be able to go out there and probably find it cheaper than what you can through a state regulated business,” he said. Colorado’s former U.S. attorney Bob Troyer said he’s not sure either. Canada now becomes the test case for national legalization. Will it get rid of the black market? Or will Canada just become another major exporter of illegal marijuana?